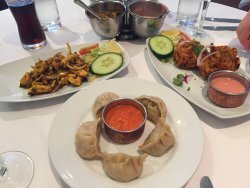 03/04/2019: My wife and I visit a Nepalese restaurant in Perth called Everest Inn which is great so we thought we would try this restaurant. It did not disappoint. 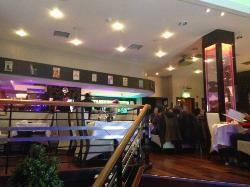 The staff were very friendly and attentive, making sure from the outset we had no allergies etc. The food was generous, well cooked and well presented. 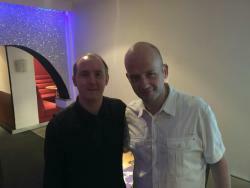 As it turned out the manager of our Perth restaurant was a friend of our host in Aberdeen. Small world! 16/04/2019: Good was excellent and served very quickly. The restaurant was very quiet for a Friday evening.Still nice though. 13/04/2019: Gruppe på fire, indisk til perfeksjon! Vi fikk ulike retter, alt var nydelig. En skjult perle i Aberdeen! 30/03/2019: Didn’t know what to expect when we eventually found it , but was absolutely 1st class food . 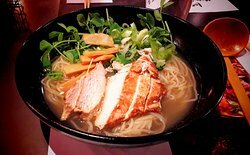 We travelled 42 miles to try this and we weren’t disappointed in the least , would be great to have a restaurant like this on our door step .We had an itison voucher and added extras to what the voucher had on it . 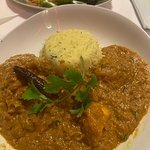 13/04/2019: Had an excellent curry with Superb service. Highly recommend this restaurant for all occasions. Staff were very attentive and knowledgeable and nothing was too much trouble. 11/04/2019: After a 6 hour drive to visit family up north, we were tired, hungry and didnt know where to eat so we looked on TripAdvisor for a restaurant near our hotel. We are so glad we tried out Lasan after we read many positive reviews on this site. The customer service was top notch, the food was extremely fresh and tasty and every plate was cleared. There was no rush. All of the staff bent over backwards to ensure our family had a lovely meal. Ignore the negative reviews, you couldn't possibly be disappointed here. Relax, sit back, don't rush your food and enjoy the experience. We did - a top class, 5 stars award as far as we are concerned. We will definitely be back. 12/01/2019: This place is well worth seeking out. It doesn't look much from the outside but always offers tasty food with very pleasant service. The only small qibble is the ambience otherwise it would fully merit 5*. 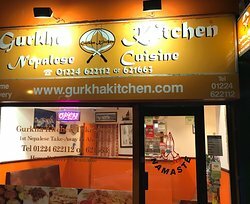 20/12/2018: Have used Gurka chef many times, for takeaway meals or sit in and its always good food, reasonably priced. 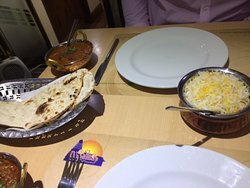 19/04/2019: Enjoyed a meal here recently with my 3 young kids one is a very fussy eater and even she enjoyed the range of food here. 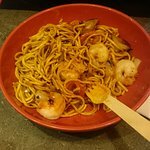 17/04/2019: Very spacious.load and loads of different meals from 8 different countries.too much to take in.my family and myself enjoyed trying eating different foods.my grandkids enjoyed trying out chop sticks.well worth the visit.they only thing I did not like was the tables were very close to each other.i would eat there again and have a better idea on what mealsI would like to try to eat. 14/04/2019: Loved it here! My friend and I enjoyed a lovely meal together and we loved the feel of the place. Staff were very polite and the cocktails were yummy! Definitely will be coming back here again! 10/04/2019: Have been regularly for food and always delicious but recently attended one of their cooking classes. Great fun and very interesting I very much recommend! 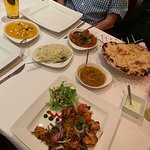 19/04/2019: My wife and myself went to Aberdeen on Good Friday and had booked a Groupon offer for lunch.We both had chicken pakora as our starters....really tasty with great sauces and salad.My wife took lamb madras and I had the chicken kadai...we shared a pilau rice and a butter naan bread. Both mains were superb...so flavoursome...cooked perfectly. Will definitely go back.Very comfortable for us both to sit,relax and eat.Very friendly service.Smashing pint of Kingfisher and fine wines.Really enjoyable. 15/04/2019: After visiting it is hard to see how this place can have such mixed reviews - it was good all round at our visit. 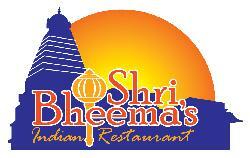 Well priced, polite and prompt service, excellent food, friendly vibe. 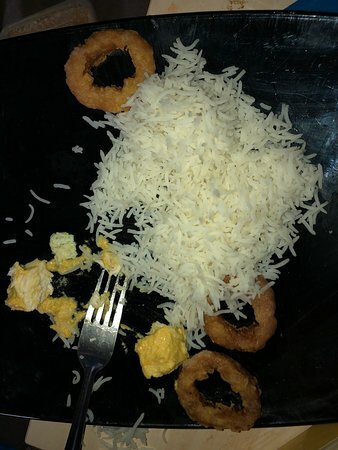 13/04/2019: Mi esposa y yo fuimos a almorzar, estaba un poco nerviosa porque tengo alergias a los alimentos, pero el personal fue excelente. El gerente vino a tomar mi pedido para asegurarme de que mi plato no se mezcle con nada a lo que yo sea alérgico. La comida se servía a tiempo y estaba deliciosa. Regresaremos a cenar para probar los diferentes extras. 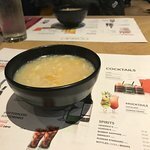 19/03/2019: I visited Wagamama again yesterday with high hopes for a decent meal as last year I'd eaten there on several occasions and was impressed. Unfortunately this time my 'meal' was a disaster. I ordered the Donbori Duck at £14.50 and was cheerily presented with a very small portion size in the bowl. Under half full. I thought my eyes were deceiving me and tried to convince myself that it was the same size as I'd enjoyed previously - but sadly it wasn't. It was a a small Scrooge like portion which took me a few minutes to eat. I complained to the waitress who disappeared off to see her manager. The news from the manager (who couldn't be bothered making an appearance) was "All the portions are measured" - what on earth does that mean? Measured increasingly small I fear to maximise profits. That summed it up. It's a disgrace that this restaurant is unable to serve up a decent portion size for the best part of 15 quid and are quite happy to try and get away with it. Sorry Wagamama - poor portions mean poor feedback. I was given 25 percent off the bill and I left. 15/03/2019: All food tasted amazing. Quick service. Reasonably priced. Will definitely be back for another meal. 21/12/2018: Unknown to my wife and I Nazma had been bought over by a company called Ashas, this in itself should not have been an issue! However, my wife and I were gifted a voucher to the value of £40 with no expire date by a family member, they knew how much we liked this restaurant and kindly gifted us the voucher. When we tried to redeem the voucher for food we were informed they would not honour it. My wife and I find this totally unacceptable and told them as much but they still would not honour the voucher. My interpretation would be when a company changes hands all existing debts, vouchers etc would be honoured, the word honour is not it seems in their vocabulary. From a once loyal customer we will never set foot in this restaurant and will share this experience with friends and family and ask them to do the same. They would appear to have no shame in pocketing the £40 from my family!!! 11/01/2019: My boyfriend is vegan so ordered noodles and veg, we took the food home only for him to find bits of chicken throughout his meal! 09/02/2019: Looked interesting from the outside, however when inside and at the table we were not so impressed. It was very quiet which was an indication that the place was not popular at a busy lunch time. Waited ages for service despite the place being quiet. Unfriendly staff, slow service, bland menu and food. Not good value for money. As regular visitors to Aberdeen we will not be returning to this place. Playing on its name being associated with. TV chef! Avoid. 23/06/2018: Don’t bother. Average food overly priced. Disinterested service. Definitely uni students pretending to be waiting-staff. Guessing they weren’t studying customer relations or anything service related. 01/10/2017: We love Cumin Tandoori as a take away that’s why decided to give a try to the actual restaurant. It’s very nice restaurant, modern and cozy. The service could be bit improved - but considering the guy who was serving us looked very young it is understandable that it will take bit longer. We were waiting for our mains quite a long time. However we enjoyed it! 02/09/2017: I came here with my friend for my 18th birthday treat on Saturday 2nd September 2017 and we got served quickly and we were in the restaurant for about 20mins and our food had arrived and the food was very good. The overall price for everything was what we were expecting it to be. And we would come back to this restaurant again in the future on another trip to Aberdeen.